Posted July 8th, 2013 by David Porter & filed under General, Hot Topics, Technology. The man who invented the computer mouse, Doug Engelbart, has died at 88. Stating it like that, it sounds like he’ll just be a footnote in the history of the computer age. However, without his pioneering work this era may never have happened at all. He should really have a chapter to himself in the annals of computers. The computers we have got so addicted to began really with the invention of the typewriter, first patented in 1868. By 1877, the Remington Company was mass marketing the machines. As computers began to be a feasible probability, the 1930s’ teletype machine combined the design of the typewriter as an input with the telegraphy system. In some places people created punchcard systems called keypunches combined with typewriters, which in turn led to early adding machines and then early computer keyboards. The next step forward came by the late 1940s when the Binac computer system used an electro-mechanically controlled typewriter to input data and print outcomes which graduated into the electric typewriter. In those days ‘computer’ mainframes were so big they filled a room or more, each. A time-sharing, multi-user system called Multics emerged by the mid 1960s, a computer using a new interface, the video display terminal (VDT). These combined television’s cathode ray tubes with electric typewriters. From that moment computers could be used to type, edit and delete easily. By the late 1970s/early 1980s computers used electronic keyboards and VDT technology where keys sent electronic pulses directly to the computer. The rest is easy to follow to what we have today with the invention of the micro-chip, but the interesting thing is that the old typewriter keyboard layout of QWERTY, still persists today. Without the mouse, it’s hard to see how the ability to operate the inside of a computer from an external device would have been arranged. We take it for granted now, that hand-held gizmo, wired or radio, that opens the doors to the web and more besides. Douglas Engelbart was a US inventor credited with lots of specialised machinery, simple, user-friendly devices available to all. He once said that his work was all about ‘augmenting human intellect.’ He went further with his aim, ‘it would be wonderful if I can inspire others, who are struggling to realize their dreams, to say if this country kid could do it, let me keep slogging away’. He had input into inventions such as Windows, emails, internet technology, computer video teleconferencing and hypermedia groupware. He didn’t stop dreaming and experimenting. His first mouse in 1964 was a working model made of wood with two metal wheels, which he patented in 1970, as ‘an X-Y position indicator for a display system.’ It used a Graphical User Interface (GUI), which was all very new frontier in those days. It was called ‘mouse’ because of the wire tail connecting it to the device reminded him of a literal mouse. It’s sad that there were no patents for software then, so although he collected protection on 45 other inventions, he got nothing for his work on Windows. The mouse patent itself lasted only 17 years, so in 1987 it fell into the public domain. He collected few royalties, despite over a billion being sold since the mid-1980s. It was in 1984 when Apple’s Steve Jobs redesigned the mouse for his new Macintosh that it all went mega-global. Engelbart won the 1997 Lemelson-MIT award of half a million dollars and a seat in the National Inventors Hall of fame. 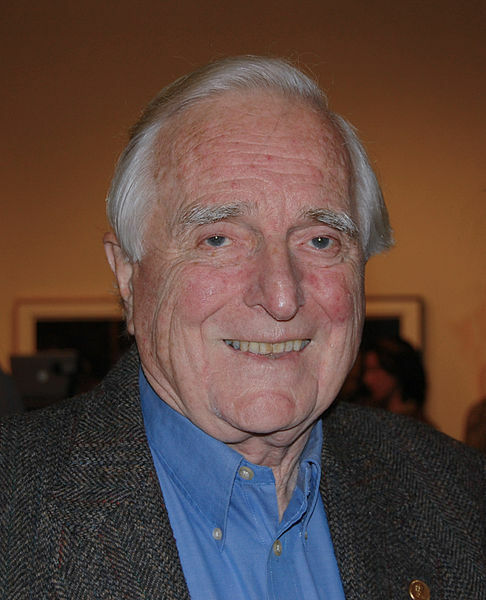 Since 2005, Dr Engelbart had been a fellow at the California-based Computer History Museum. It will be interesting to see how much notice people pay now on the passing of a legend of inventiveness.